Michael Russotto (Alex) ~ Photo by Cameron Whitman. In Heisenberg he pens a strange tale of a 75-year old Irishman who falls for a much younger American woman. Both have unrealistic expectations of the other. Georgie Burns is deeply flawed. She is a manipulative, self-absorbed, pathologically prevaricating, intensely neurotic stalker – precisely the type of woman women hate, and men fear. She calculatingly insinuates herself into Alex Priest’s life through flattery and sexual favors alternately belittling him and, just as quickly, excusing her behavior. “I’m really weird. I know. I love making things up,” she confesses. It’s unnerving watching her cavalierly crush his defenses. If this were real life she would probably be arrested for elder abuse. Luring him like a siren to a rocky shore, Georgie beds Alex. “I like your wrinkled skin. It’s old… like Europe.” The following morning, she asks him to give her a large sum of money to find the son who no longer wants to see her, though it’s never explained why she doesn’t ask the boy’s father where he is. All along, Alex follows her around like a lovelorn puppy, mistreated but firmly attached to its owner. 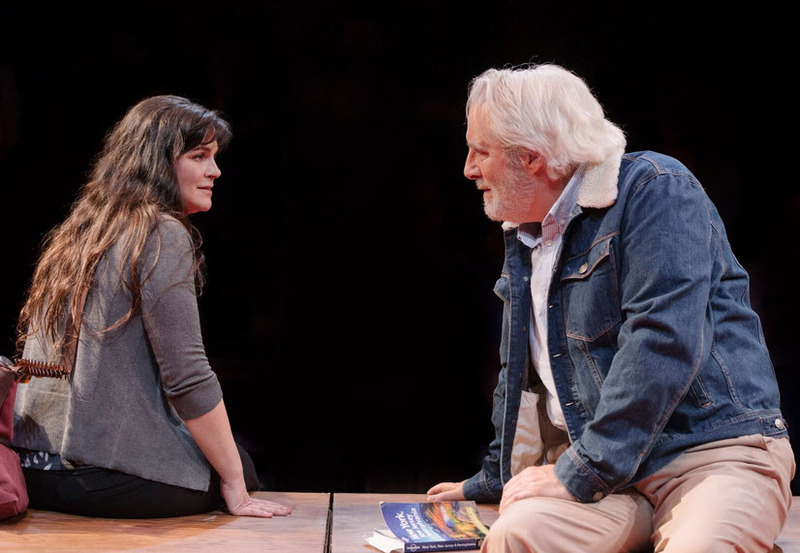 Rachel Zampelli (Georgie) and Michael Russotto (Alex) in the DC premiere of Heisenberg at Signature Theatre. Photo by Cameron Whitman. Alex is a lonely man, bereft of family and grimly philosophizing about his odds of finding a connection towards the end of his life. Georgie, who readily confesses she has googled him, takes advantage of his insecurities to satisfy her own needs. But Alex is convinced she can change, telling her, “Personalities are never fixed. They can always change. They mean nothing.” Influenced by German physicist Werner Heisenberg’s uncertainty theory, Stephens asks us to buy into the notion of character mutability. Though it’s hard to believe how this particular principle might apply to a 42-year old predator. 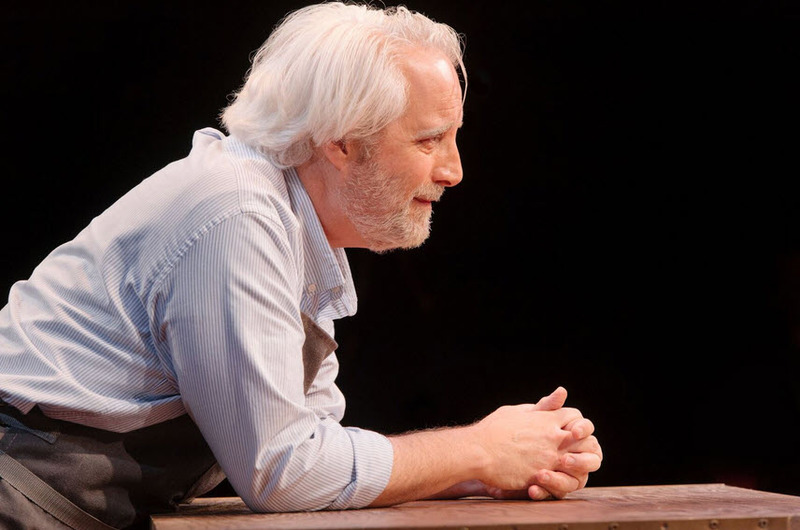 Michael Russotto (Alex) and Rachel Zampelli (Georgie) in the DC premiere of Heisenberg at Signature Theatre. Photo by Cameron Whitman. Directed by Joe Calarco, Michael Russotto is superb as Alex, infusing the character with grace and an infectious Irish lilt. 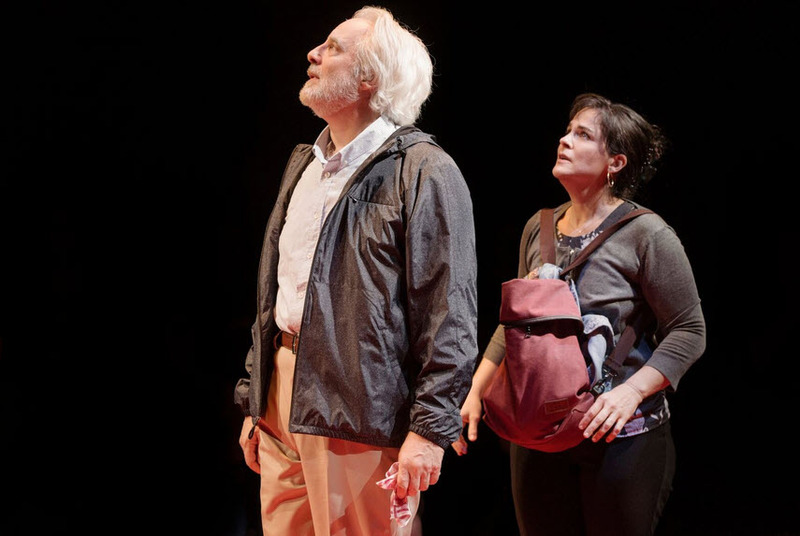 Rachel Zampelli gives a bravely compelling performance as the grifter we wish would crawl back under the rock she emerged from. That this unsettling play is well-acted, is not enough for this reviewer to grant any redeeming social value to this theatrical exercise. Ultimately, we want to identify with a character or feel their pain, revel in their joys or see them get their comeuppance. With Scenic Design by Pamela Weiner, Lighting Design by Andrew Cissna, Costume Design by Alison Samantha Johnson, and Sound Design by Kenny Neal. Through November 11th in the ARK Theatre at Signature Theatre (Shirlington Village), 4200 Campbell Avenue, Arlington, VA 22206. For tickets and information call 703 820-9771 or visit www.signature-theatre.org.